Thu., Sept. 7, 2017, 2:15 p.m.
Idaho Attorney General Lawrence Wasden announced today that he’ll run for another term as the attorney general next year – quashing speculation that he might jump into the already hotly contested races for governor or the 1st District congressional seat. Wasden is Idaho’s longest-serving attorney general; a Republican, he was elected to his fourth four-year term in 2014 with 68 percent of the vote. He’s worked for the attorney general’s office for more than 25 years, starting in 1989 as a deputy attorney general assigned to the state Tax Commission. He’s also a former deputy prosecuting attorney in Canyon County and prosecuting attorney in Owyhee County. 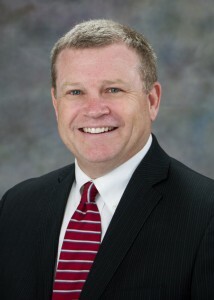 As attorney general, Wasden has pressed numerous public corruption cases – handling 71 complaints in 2016 alone; established the Internet Crimes Against Children task force to investigate and prosecute internet sexual predators, which conducted 364 investigations last year; and recovered millions in consumer protection cases involving Idaho consumers and businesses. He also joined other state attorneys general to sue the Obama Administration over the EPA’s “Waters of the United States” rule, which sought to expand federal jurisdiction over waters and wetlands, winning a nationwide stay in federal court. “There is more work to be done, and I am looking forward to continuing my work to insure Idaho’s sovereignty is preserved, Idaho’s citizens are protected, and our businesses enjoy a free competitive marketplace,” Wasden said in his statement. Wasden holds a law degree from the University of Idaho; he and his wife, Tracey, have been married 37 years, live in Nampa, and have four children and 10 grandchildren.